This morning’s post is short and simple, but not without merit. I had a parent come to me this week with an issue of trying to get his boy to blow his nose. Every time the topic came up, the boy would protest, stomp, cry, and throw a full-out fuss. All this parent wanted, was to clean the snot out of his 3 year old’s nose so the boy could breathe and play unhindered. Is this too much to ask? Nope. But sometimes children need you to rephrase the question. If someone came up to you with hands bigger than your head and tried to ‘smother’ you with a big old tissue, how would you feel? A little panicky, maybe? As parents, we know we are only trying to help the child, but sometimes it’s just too overwhelming for a small person and we need to change our tactics. Best way to do that, is to turn the chore or task into play time. Children love to play. Children learn through play. “We are going to draw a bug on our tissue today. 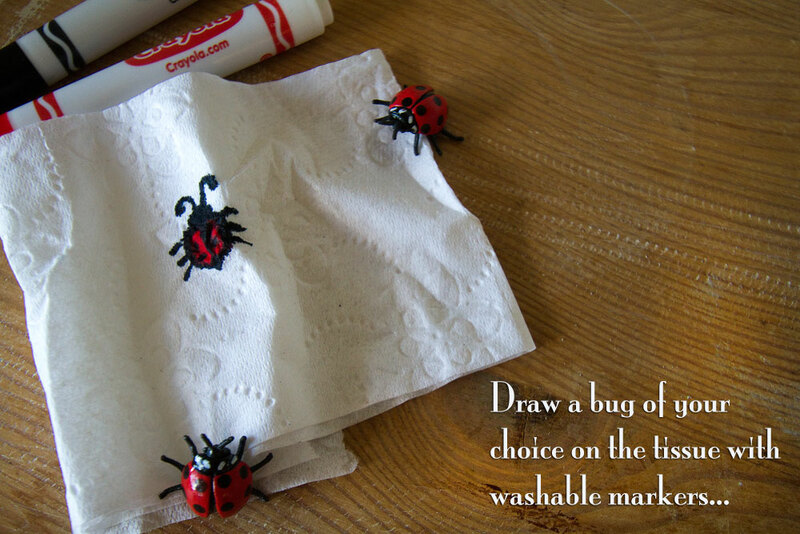 What kind of bug would YOU like on your tissue? A ladybug? Ok! Oooo…that’s a cool bug! Do you see it there on the tissue? 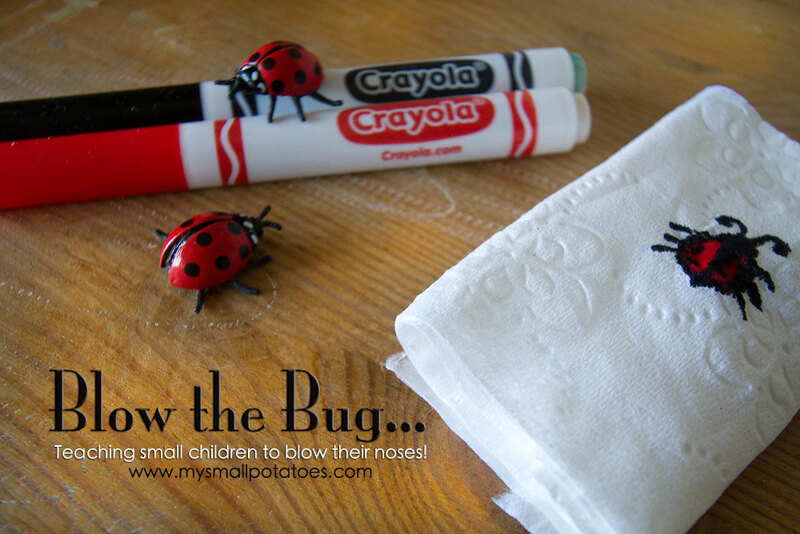 Well, now we are going to use our nose to blow the bug out! I’ll hold the tissue to your nose with my fingers, and you get to blow air out your nose as hard as you can so you can get the bug! Are you ready? Ok! Here we go! !” “WOW!! That was a big blow!! 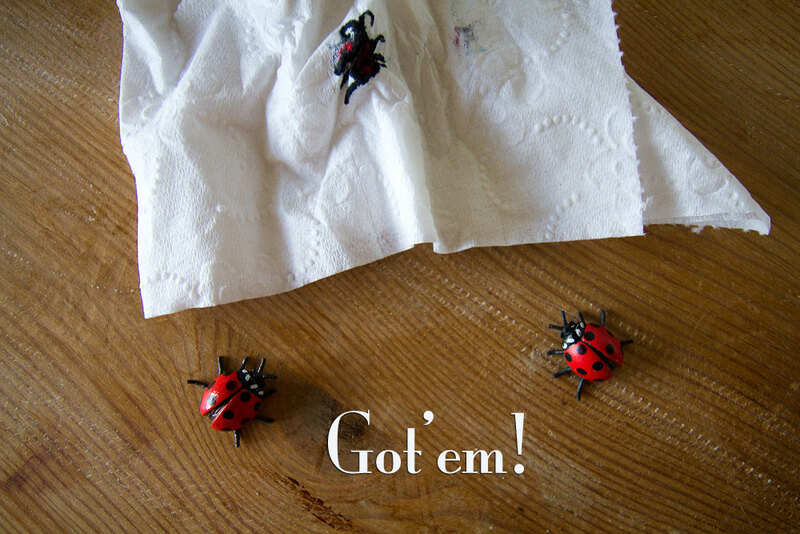 Let’s see if you got’ em… Now, I have spared you the really gross tissue and shown you only the beginnings! Lol! 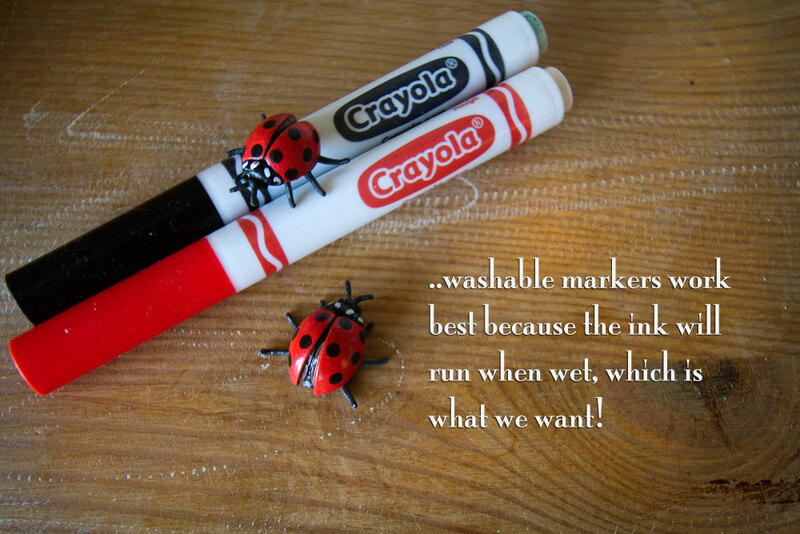 But do show the child what they’ve done to the bug after they blow it…they LOVE it! This little boy asks for a spider now, as he loves to see the spider all squished up in the tissue! He boasts about it to the other smalls at my home! I’m not saying that every time you ask your child to do something that you have to make a game of it. Sometimes kids just need to cooperate without a big production. If we played a game every time I asked them to sit at the table for snack, or go to the door to put away their shoes, or stop taking toys from the baby, we’d never get anything done! But if a child is continually struggling with a task, or fighting the system, maybe it’s a good time to re-think the equation and come up with a better, happier way to get the job done. Don’t forget today is the start of this week’s Kid’s Co-op! Link up your child-friendly activity by clicking the little blue guy at the bottom of this post. If you don’t blog, the Co-op is still for you!! Click the link to view all the other great ideas that have been shared already this week! Keep checking back throughout the week, as more and more ideas start coming in! Enjoy! Bugs away! What a fab solution. Love it! Love your attitude! 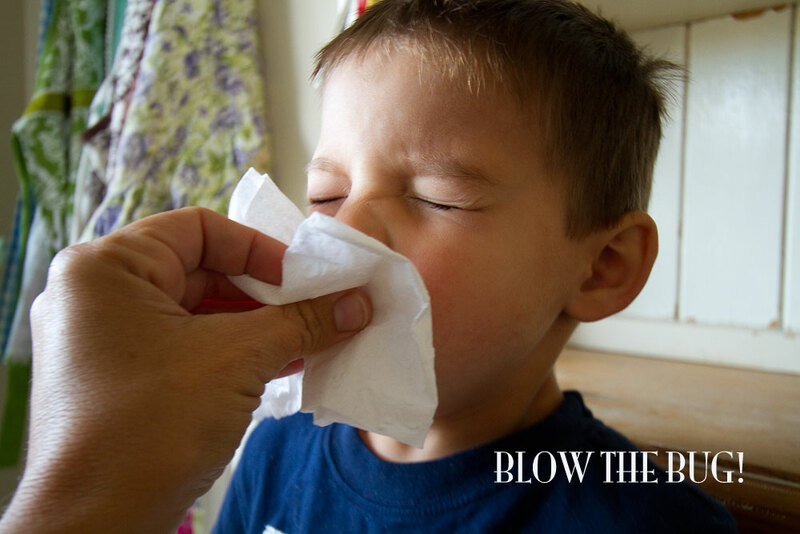 As a parent of a little one who refuses to blow her nose, I really appreciate you sharing this. Pinned it onto our parenting board too. THANk YOu! Oh yay!!! This is just the comment I was hoping for with this post! Please let me know if it works for you!! This is the cutest idea ever! Great job and amazing blog! Haha! I love it. What a great one. I have a bunch of kids who don’t know how to blow yet. Reblogged this on knoxmiles's Blog.